“I’m offended!” “That is offensive to me!” “You must not do that, because it offends me!” You will often hear statements such as these on television, the radio, or any number of media outlets. Those who use these types of sentiments throw them down like a gauntlet, daring you to continue. It is as if the fact that they are offended should cause you to stop whatever it is you are saying or doing that offends them. Somehow, “I’m offended,” has become the verbal alarm that signals some sort of mistake or misstep on the part of the speaker. The fact is, however, just because a person is offended is not necessarily a reason to stop saying or doing something. Jesus often offended people, but that did not stop Him from preaching and teaching the truth. When a person takes offense at something, it often says much more about the heart of the one who is offended than it does about the person who supposedly “caused” the offense. On one occasion, after Jesus taught about how the Pharisees had abused God’s Word, His apostles came to him and said, “Do You know that the Pharisees were offended when they heard this saying?” (Matthew 15:11). It is almost as if the apostles thought like many people today. They seemed to be indicating that because Jesus had offended the Pharisees, then He should stop teaching those ideas or change His message. Jesus, however, thought nothing of the sort. He knew that His message offended the Pharisees because of the hardness of their hearts, not because of the way the message was delivered. Jesus understood that the hearts of the Pharisees needed changing, not His message or even the way He delivered it. He responded to His apostles by saying, “Let them alone. They are blind leaders of the blind” (Matthew 15:14). Surely we can agree that the Pharisees would have been further offended by Jesus’ follow up comments. Their offense, however, was misplaced. They were blind to the truth. They should not have been offended at Jesus’ message. Jesus’ message was the truth that God had sent to set them free (John 8:32). Mark 6:1-6 tells about a time Jesus returned to His hometown of Nazareth. He went to the synagogue and preached the Word as He often did in other places. The townspeople who heard Him murmured, “Where did this man get these things?... Is this not the carpenter, the Son of Mary, and brother of James, Joses, and Simon? And are not His sisters here with us?” The text then states, “And they were offended at Him.” The fact that they were offended did not mean Jesus had done anything wrong. It did not mean that He should have taken a different approach to preaching in His hometown. It meant only that the hearts of the hearers were calloused, sinful, and refused to recognize God’s message when it was preached. 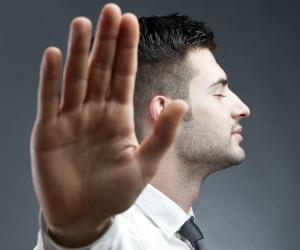 Jesus never cowered to the “I’m offended so you must stop” tactic, and neither should we. At one time Jesus preached to a great multitude of His disciples. Many of His own disciples did not understand the message and “murmured” about Jesus’ preaching (John 6:61). Jesus then asked them, “Does this offend you?” (John 6:61). Many in our day would say that if Jesus offended the crowd, He was sinning and should change His message, change His delivery style, or re-word His statement to be less offensive. Jesus, however, responded by saying, “What then if you should see the Son of Man ascend where He was before?” (6:61). What was Jesus’ point? If the people were offended with Jesus’ message that He was the bread that came down from heaven, just think how the would react if they saw Jesus ascend back into heaven, which was what He planned to do in the near future (Luke 24:50-53).1 Not only did He refuse to quit preaching or change His message, He added something to the message that the audience would have had more problems accepting! Obviously, Jesus did not feel the need to stop preaching or change His message because His audience was offended. It is certainly true that Christians should let their speech “be with grace, seasoned with salt” (Colossians 4:6). It is also true that Christians should avoid unnecessary offense (Matthew 17:27; 1 Corinthians 8). The Gospel, however, is exclusive and offensive to many people. Those with dishonest, sinful hearts will always be offended at the simplicity and straightforwardness of Christ’s Truth. As Christians, we should follow the example of our Lord. We must never be bullied into silence or intimidated into changing our message simply because a person or group is offended at the truth. 1 It is interesting that when Stephen was martyred, he exclaimed that he saw Jesus in heaven “standing at the right hand of God” (Acts 7:56). This statement so offended the mob that “they cried out with a loud voice, stopped their ears, and ran at him” (Acts 7:57).